Mouldings bring classic elegance and are available in many styles and sizes depending on the impression and appearance you want to achieve with your room. Crown and cove mouldings both finish off a room by connecting the walls to the ceiling. The major difference is the shape and contour. Cove mouldings bow inward while crown mouldings curve outward. 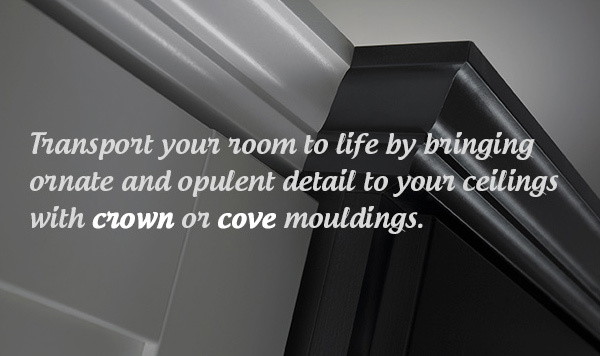 ASA Builders Supply can help you choose the right crown or cove moulding for your room. Stop by ASA Builder’s Supply showroom to learn about the many options available to provide the look you desire.